In 1974, a field reporter on a local TV station committed suicide live on air. 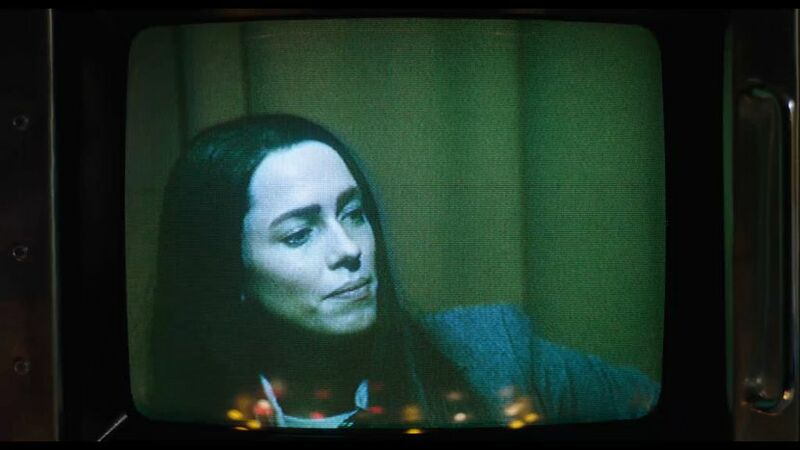 This film, by director Antonio Campos, gives us the context for that notorious act, in a film of rare empathy with its subject - Christine Chubbuck. Actress Rebecca Hall gives us a portrait of a smart woman of integrity, who volunteers with disabled children and truly cares about social issues. But who somehow can't quite connect with the world around her. Even when people are reaching out to her, she becomes defensive or mishears the complement. And yet she is desperately lonely to the point of not even being able to have a cup of coffee with a co-worker. And when her boss tells her to change the tone of her news reports to appeal to more viewers, Christine simply can't bring herself to compromise. This is most heartbreakingly depicted in a scene where a co-worker takes her to a kind of culty new-age therapy group where she has to take part in an exercise with another girl. Christine explains that she's lonely, and so sick that she may not be able to have a child, and that she can't get the promotion she so desires and retain her journalistic integrity. The other girl asks tells Christine that she should adjust her expectations of life but Christine simply can't comprehend this as an option. And so we move to the grim finale of the film. CHRISTINE is a meticulous film. The production and costume design perfectly recreate the mid-70s small-town milieu. I also really loved the almost tangible feel and sound of using clunky old recording and editing equipment. We get a real sense of what it was like to be a journalist in that era, and more importantly, of Christine's desire to master journalistic techniques and her perfection in how to cut together a segment of television. But this is first and foremost a nuanced character study by an actress of exceptional talent. I felt genuinely moved by the film and by her performance and it's testament to the director's respectful tone that even though the suicide is explicitly depicted, it never feels exploitative. Kudos to all involved. CHRISTINE has a running time of 119 minutes and is rated R. CHRISTINE played Sundance, Toronto and London 2016 and opens next week in the USA.